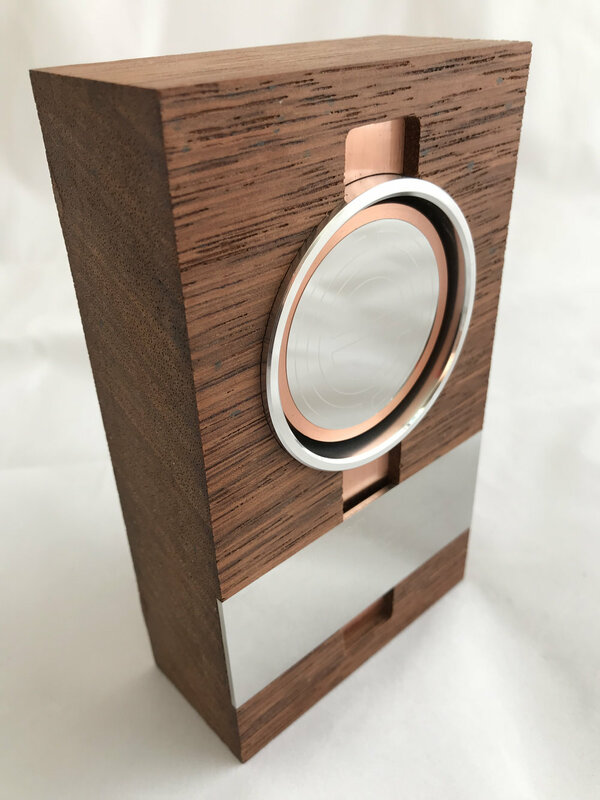 CNC router cut hardwood trophy, with laser cut copper inserts, CNC machined and polished aluminium tube insert, laser etched mirror finish stainless steel award plaque. Finished with a floating medallion made with CNC machined copper and laser etched mirror finish stainless steel inlay. Raw aluminium and merbau timber trophy. Parts: Merbau timber, rectangle hollow aluminium extrusion, laser-cut 3mm aluminium. 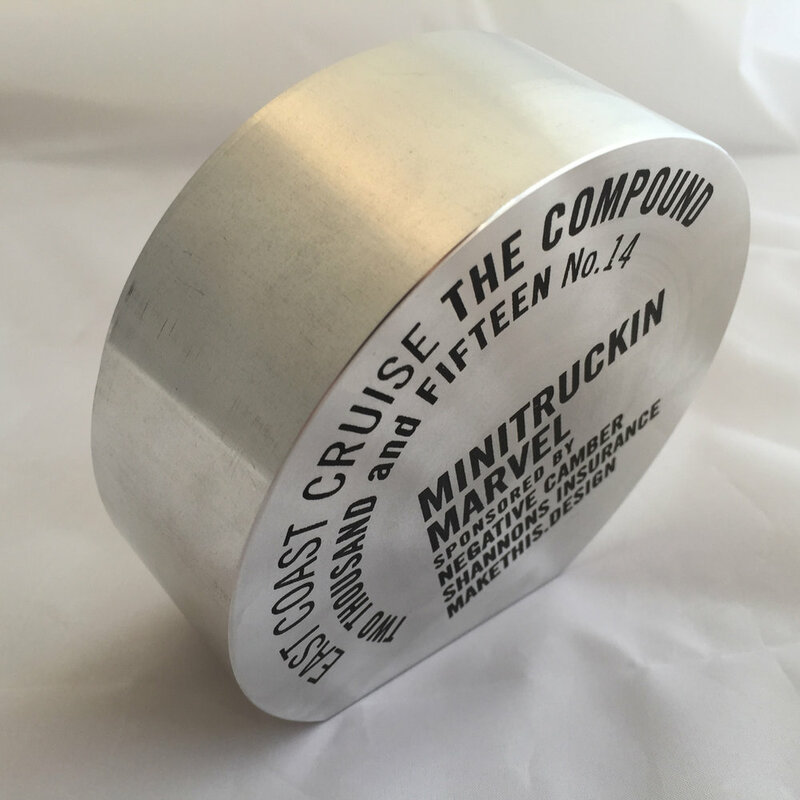 Lathe turned hardwood to mimic automotive suspension airbag, with laser etched mirror stainless steel award plaque. Parts: Hardwood, 2mm mirror stainless steel, 2mm cork. 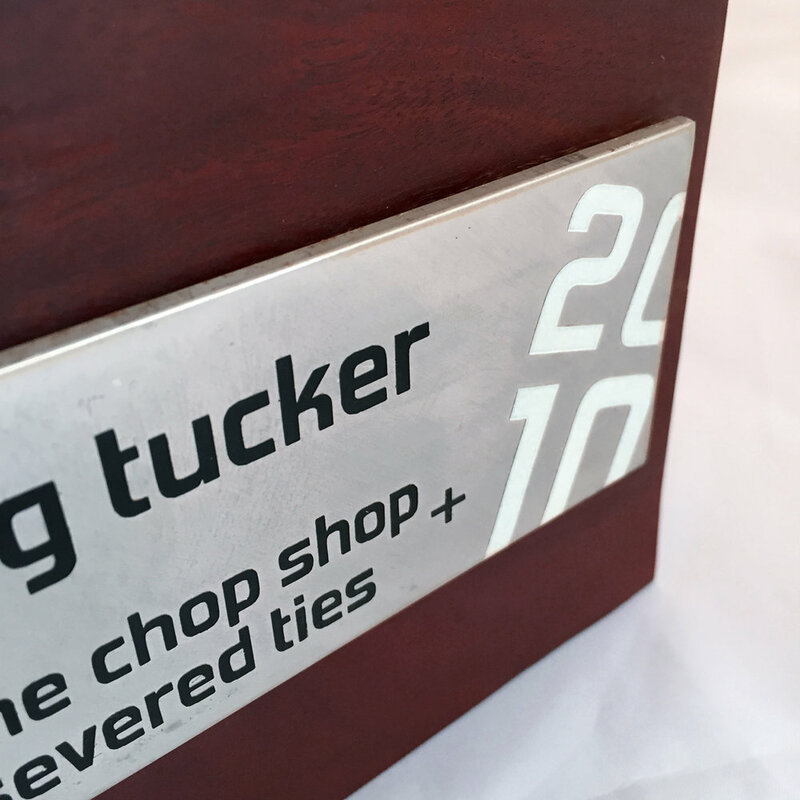 Sectioned and CNC machined aluminium ingot trophy, with laser etched details. Laser etched recycled redwood sleeper with enamel painted details on aluminium strap. Parts: Recycled redwood railway sleeper, 2mm aluminium strap. 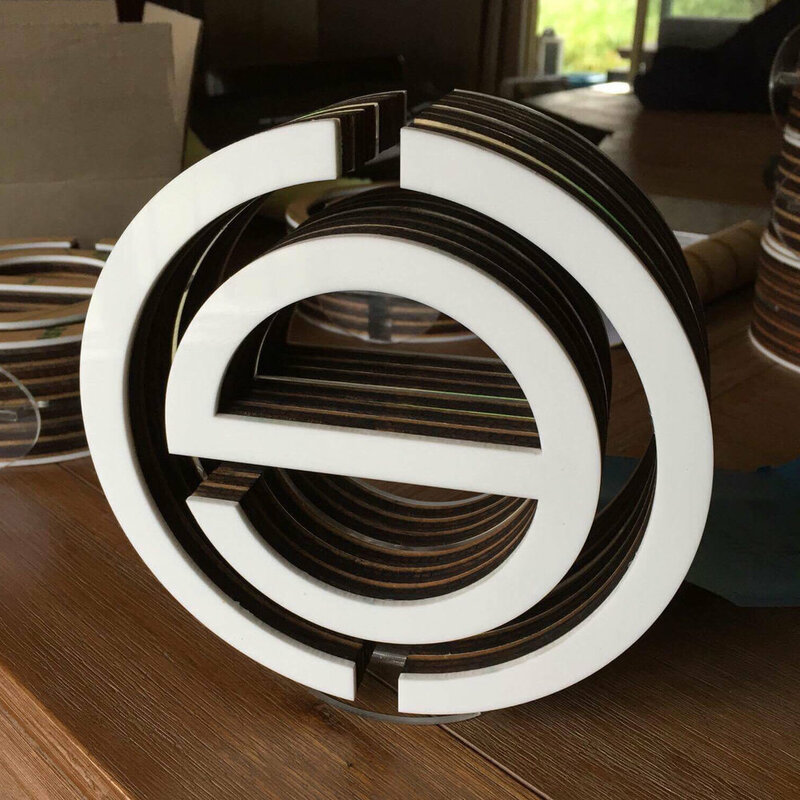 Layered plywood and acrylic trophy, with laser etched and ink-filled details. Parts: Laser-cut 7mm plywood, 3mm clear acrylic, 3mm gloss white acrylic. 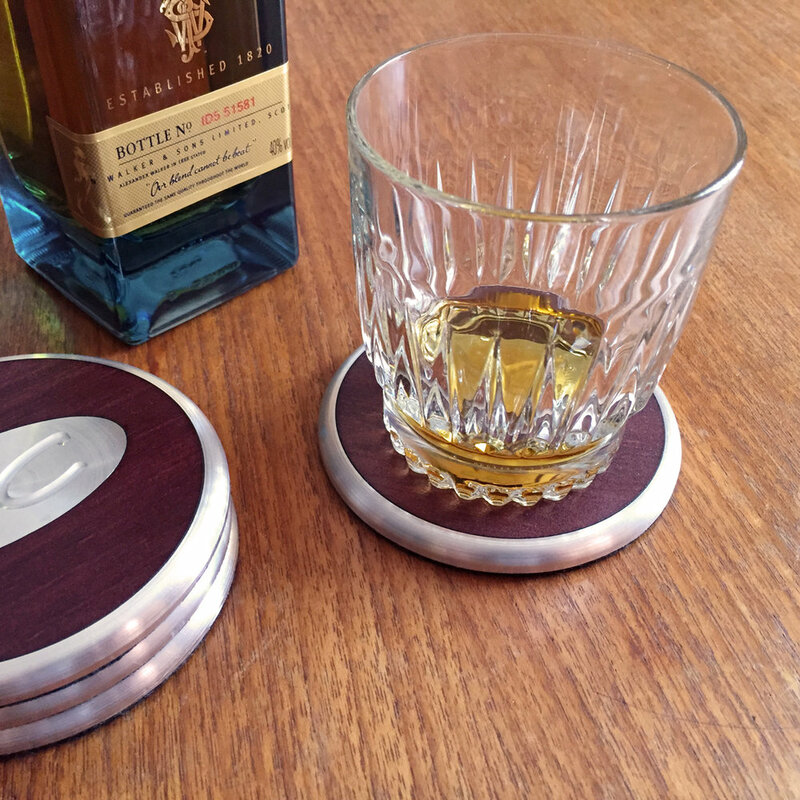 CNC machined billet aluminium whiskey glass coasters with mahogany inserts. Laser cut mirror stainless steel award.